This is a nice Baroque silver reliquary pendant, dating to the 17th century. 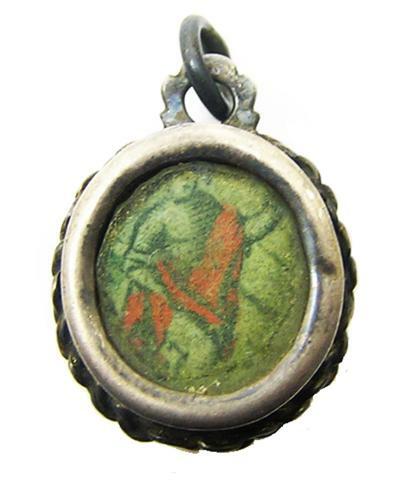 The small locket is made from silver, containing a relic or object embedded in wax. The other side is a parchment image of a saint as yet unattributed. It retains the suspension ring and is in good antique condition. A nice object, worn for veneration, meditation and devotion.